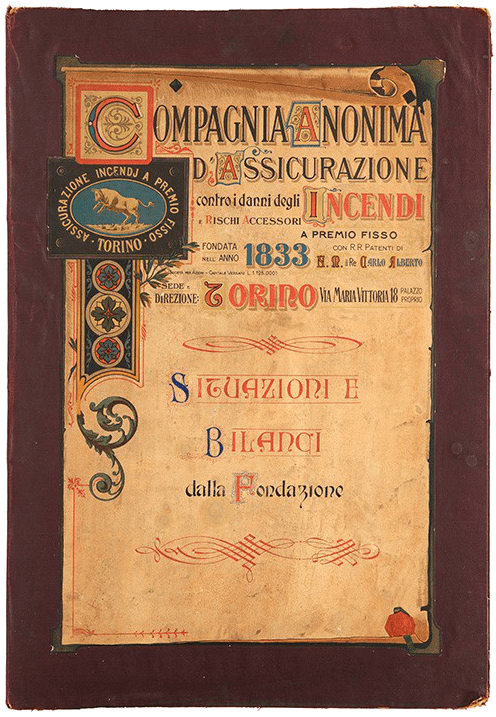 The Historical Archive of Toro Assicurazioni is managed by a group of retired Toro employees (Gruppo Seniores) on a voluntary basis and houses all the documents produced as required by law—the minutes of the governing bodies and accounting books —in the course of the Company’s activity from 1833 to 2009. It also preserves historically valuable documents, including old policies (some of which issued to famous historical figures), royal licenses and decrees for operation in different insurance divisions and various territories, and important advertising material. The documents may be searched in loco through an index, as well as online on the SIUSA website of the Italian archival authorities network, for an initial overview of the material. The Historical Archive also houses valuable material such as paintings (a collection of portraits of the Company’s founders and chairmen from 1833 to 2008), prints, lithographs, engravings, drawings, sculptures, plates, bas-reliefs, objects of various kinds and furnishings. 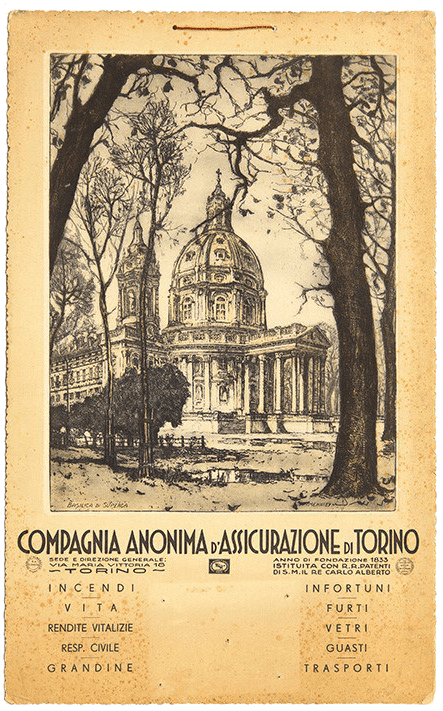 The Archive is of considerable importance as a record of the history not only of the first private insurance company of the Savoy Kingdom, but also of the city of Turin as Italy’s first administrative capital and subsequently as its industrial capital, and of the city’s ruling class and financial and credit systems.